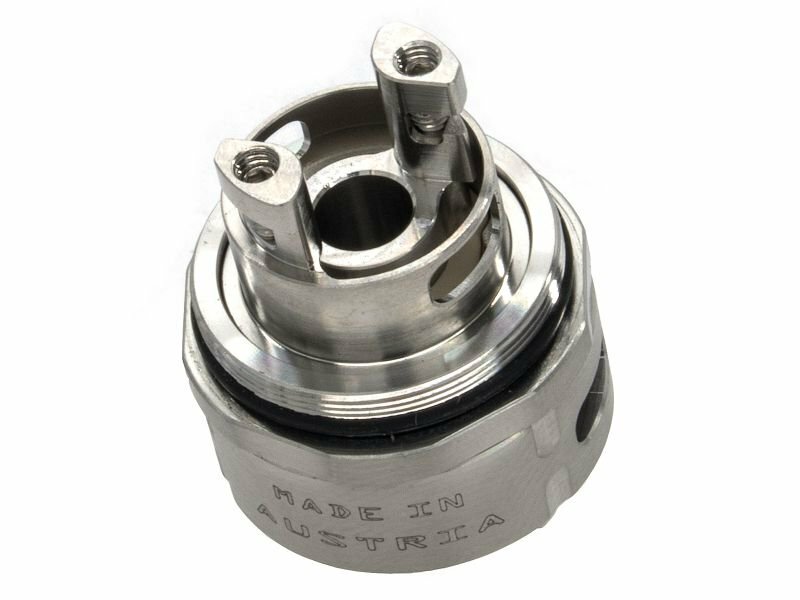 Niko Vapor built this rebuildable tank atomiser with a very strict airflow especially for mouth-to-lung vapers. The airflow control in the base can be adjusted by choosing between 4 different hole sizes between 1.0 and 1.6mm. It has an easy to build single-coil deck, 5ml tank capacity and can be conveniently filled from the top.